We had a delightful experience at Restaurant Sühring in Bangkok where we chased the weekend blues away! Picture this: It’s a rainy Monday night; the crazy taxi driver navigates us successfully through the labyrinth of laneways in central Bangkok. He halts and turns to us with a cheeky grin and announces “we’re here!” The taxi door flung open and waiting with a beaming smile and an umbrella was the front of house guy and says “Welcome to Sühring!” We didn’t wipe the smile off our faces for the rest of the night! He escorted us to the front door of the restaurant, which is the home of twin brothers, Thomas and Mathias Sühring. We allowed extra time to arrive due to the weather and the manic Bangkok traffic! We were greeted by name and told our spot at the kitchen bench was already waiting! Excellent. So within 5 fives minutes of arriving, we had been treated like rock stars and were warmly welcomed even though we were 20 minutes early! Our anticipation of a wonderful experience was palpable. Often I wonder if trade shows are worth spending the time, money and legwork on but I decided to go to Hong Kong for Vinexpo and it was definitely worth it. 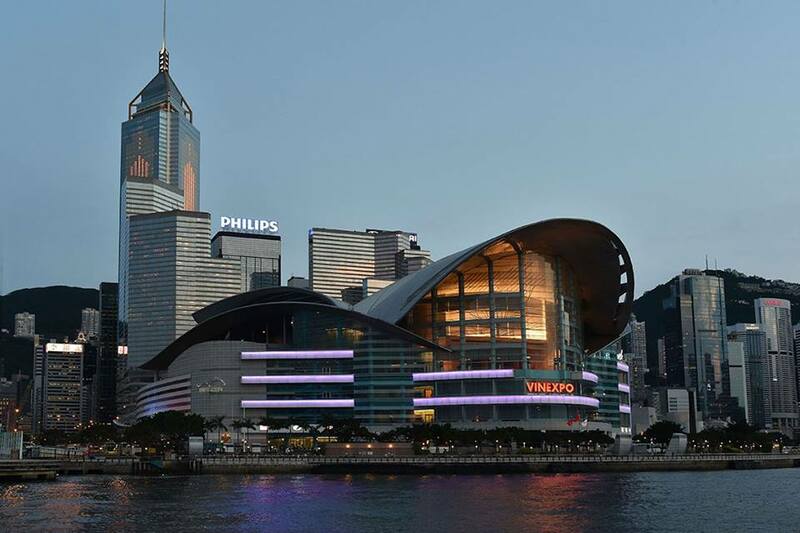 Celebrating its 20th edition this year, Vinexpo Hong Kong is the most renowned trade exhibition for wine and spirits industry professionals in the Asia-Pacific region. With close to 1500 exhibitors representing 30 countries, it was the perfect time to connect and reconnect with industry folks from around the world – all in one place! As an extra incentive to attend, Australia was chosen as the “Country Of Honour” this year which, in my opinion, really was an honour! It was the largest-ever showcase of Australian wineries with 140 exhibitors representing 230 wine brands from over 35 regions. My heartiest congratulations to Wine Australia for such a well-organised, well attended exhibition. Not to mention the coolest official networking party I’ve been to for ages. 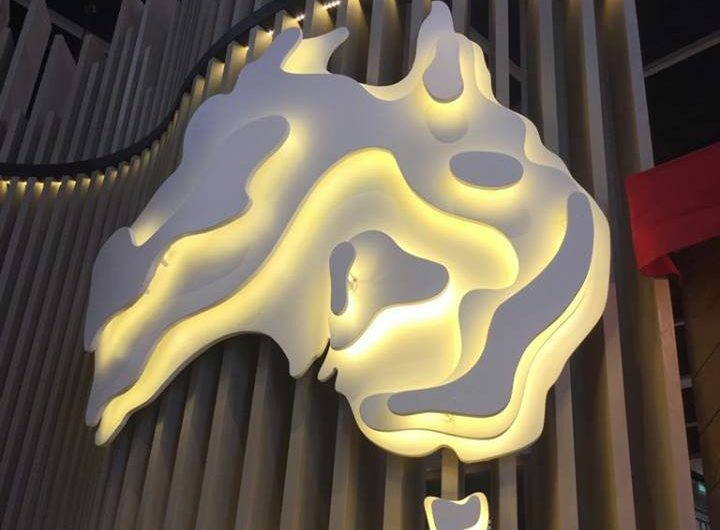 Complete with five themed bars covering laneways, the harbour, beachside, bbq and the red-centre. It made me feel very proud to be Australian! I would like to see a bigger focus on women in the Australian wine industry. It still is quite lop-sided but let’s keep pushing for action and conversation to continue. After hiking around the exhibition for a few days, it was well worth spending the weekend to slow down and “relax”. As a major cosmopolitan city, Hong Kong really is the complete package. From the local food markets with colourful characters, to the array of wine stores popping up, impressive award-winning restaurants and bars, Melbourne-esque neighbourhoods complete with hidden laneways and bars, street art and of course Hong Kong’s beautiful Victoria harbour with the hillside views beyond. Hong Kong is a wonderful place to lose yourself in – even for a few days! Check out my video and let me whet your appetite to visit! We might even meet you there! with a ton of fun like-minded people! The newly named, Revel Global’s Pinot Noir festival Pinot Palooza rolled into Singapore for the first time in late November and a party was had by all! There was a plethora of Pinot Noir, precisely poured by passionate Pinotphiles with a phenomenal atmosphere shared by around 500 people! Held at the Annexe Studio of the Esplanade Theatres on the Bay there were over 100 Pinots from some of the best Pinot producers from Australia, New Zealand, United States and Italy. The hip and cool crew, kitted out in their Pinot Palooza branded t-shirts, warmly welcomed us, providing each with an essential Plumm Pinot glass and the festival wine guide! Maison de Grand Esprit, which translates to ‘House of Great Minds’. Their aim is to make luxury French wine more accessible and reinvigorate the consumer experience. I was privileged to be invited to the Singapore launch recently to hear more about this exciting initiative in the luxury wine market. I was greeted by an enticing line up of wine in a bright and airy (and airconditioned thankfully!) space at renowned restaurant, Au Petit Salut. Au Petit Salut has been satisfying the cravings of its loyal customers for close to 20 years and has recently reopened after a renewed look. 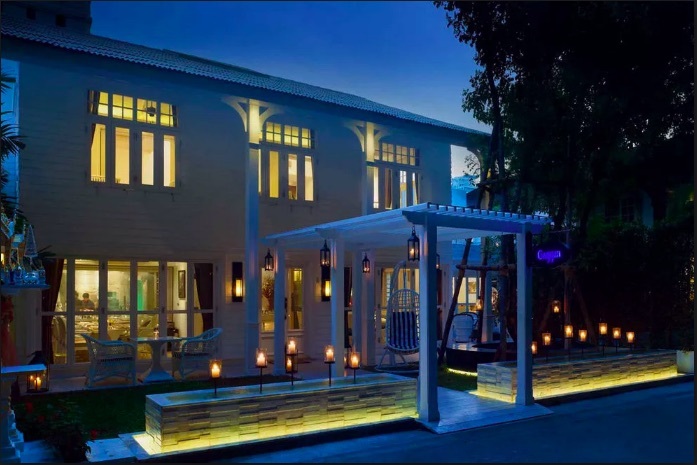 Au Petit Salut is nestled in a lush setting surrounded by nature’s greenery located in Dempsey, about 10 minutes north-east of Singapore’s downtown. 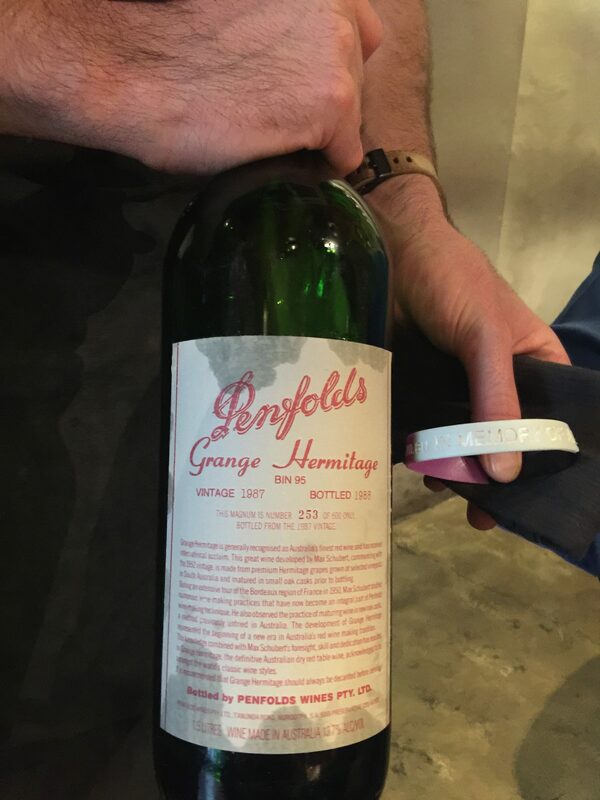 Burnt Ends had acquired a full range of Penfolds Grange Magnums from a Singaporean private collector. When Penfolds found out about it, they were keen to be involved to hail such a collection. 1979 was the first vintage that Grange was bottled in Magnum format. Penfolds only bottle around 600 Magnums each year. The Chief Winemaker of Penfolds, Peter Gago was coming up to Singapore to present the Grange Magnums at the lunches on both days. There were about 40 guests in total, so the ratio of wine-to-guest and guests-to-Peter Gago was fantastic. It was an opportunity too good to pass up. When Peter Gago, Chief Winemaker since 2002, and a Winemaker with Penfolds for 28 years, says “This is a world’s first for Penfolds”, it is a pinch-yourself-type-of-moment. I was so grateful to be there. I attended Day 1 only, which meant I got to taste all the wines from the odd years –(eg 1979, 1981, 1983 etc to 2011) over a 6-hour lunch. The following day all the even years were to be tasted. Over the course of the lunch, we were presented with 4 brackets of 4 vintages of Grange. The first bracket consisted of 1979, 1981, 1983 and 1985 and the second bracket 1987, 1989, 1991 and 1993, and so on. For me, it’s the stories that go behind the wines that I love. To create such an outstanding wine under such circumstances is incredible. After 1983, the next best for me was probably more emotional than anything: the year our son was born:1987. Now those in the know will say it wasn’t or isn’t one of the best and…dare I say it…it was the first vintage for John Duval as Chief Winemaker. But it was still mighty fine to me! In the nineties, 1991 was unbelievable and I really enjoyed the 1995. Now a lot has been said and written about the 1996 and 1998 – which I didn’t get to taste on this occasion – and they hold top spots on the mantle for sure, but I still liked the one in between: the 1997. Without the reputation of the even years around it, it is still a standout, none-the-less. Beyond that, the others were still “young” and my palette, dare I say it, might not have been “as” reliable by the time I got to taste them as it was earlier on. Which was fine by me: I got to savour them even more with no pressure to judge! Penfolds are fully aware of the significance of every Grange in everyone’s cellar and that emotional (and financial) hook, so they too, want it to be amazing when you open it. 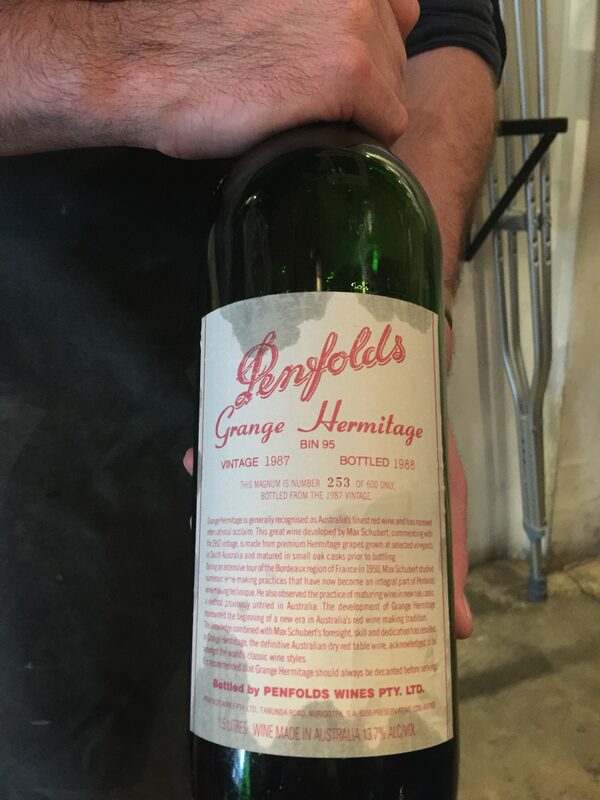 Watching 17 different magnums being poured on the one day was simply magnificent: who cares WHEN you open a Grange…just make sure you invite me! A CHANCE DINNER LEADS TO AN HISTORIC, MOUTH-WATERING LUNCH! Being in the right place at the right time has never been more pronounced for me than it was recently here in Singapore. My husband, Patrick, and I are self-proclaimed foodies and passionate wine connoisseurs. We sure do love a list! Be it from The World’s Best 50 Restaurants or The World’s 50 Best Bars (or the 50 Best Asia versions now we live here) to Langton’s Classification of Australian Wine, Gourmet Traveller Wine’s Best Cellar Doors, or Best Wine Lists or even Wine Spectator Top 100 Wines and Decanter Magazine’s World Wine Awards. The list of lists themselves actually goes on and on! So it’s a lazy Sunday afternoon in April, digitally thumbing through some of our favourite lists and we discover Burnt Ends here in Singapore. It’s number 10 on Asia’s 50 Best Restaurants and number 53 on The World’s Best 100 for 2017! “That’s 3 months away”, I exclaim. To which he replies “Well I just took the first available date I could get, so put it in your diary!” Done and done! 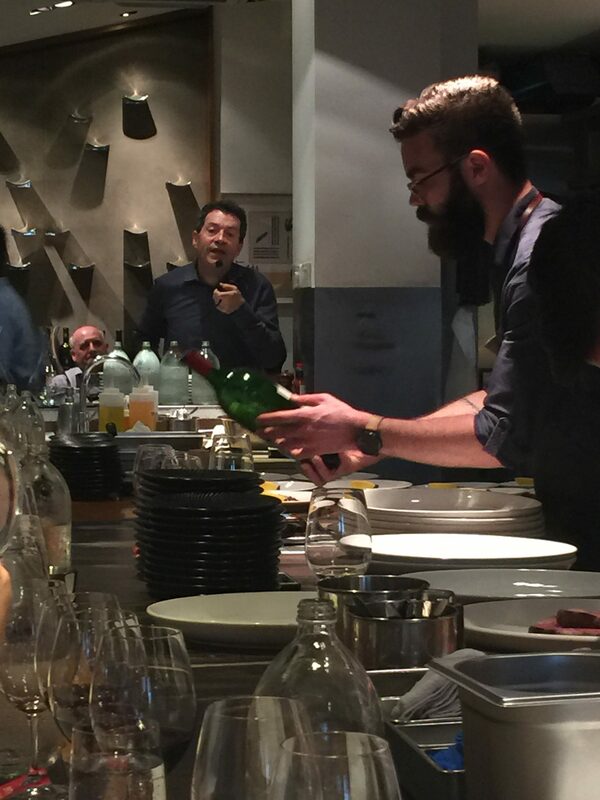 Next time a Sommelier saunters towards your table, wine menu in hand, reach out with open arms, grab it and take charge! Be considerate to your guests. Ask if the table want red or white but more importantly ask if they are working on a “financial budget”. Make your selection and regardless of whether you’ve had it before, simply say “I’ve always wanted to try this!” Why? Because that way, everybody gets an opportunity to form their own opinion on the wine and removes any backlash about your choice! 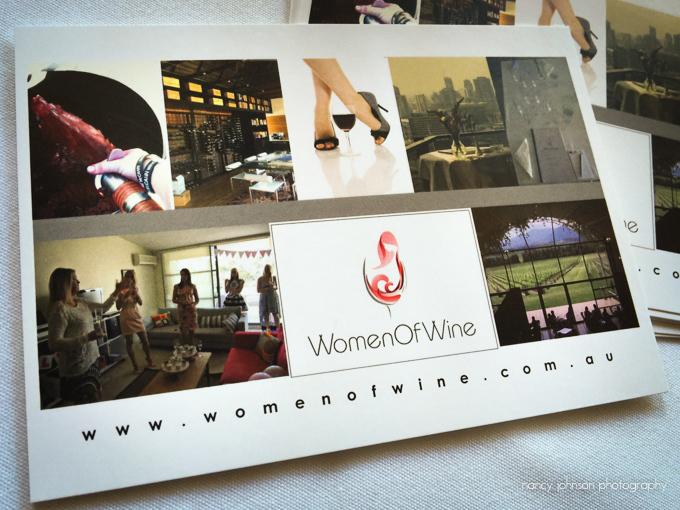 Women Of Wine celebrates 10 years this year! It’s been a fantastic time over the last 10 years to be a part of this sector with more and more women being recognised in the wine industry as significant global and domestic players. Over the years, Women Of Wine has provided many opportunities for women (and men too of course) to enhance their love of wine through our events and bespoke winery tours. We’ve challenged their palates, expanded their wine knowledge and seen their wine cellars grow!